The leader of the Crimean Tatar people, the Presidential Commissioner of Ukraine for Crimean Tatar people Affairs and the People's Deputy of Ukraine Mustafa Dzhemilev expressed his gratitude from all the Crimean Tatar people to the leader of the Turkish Republic Recep Tayyip Erdogan for his work in releasing the Deputy Chairmen of the Mejlis of the Crimean Tatar people Ilmi Umerov and Akhtem Chyigoz. 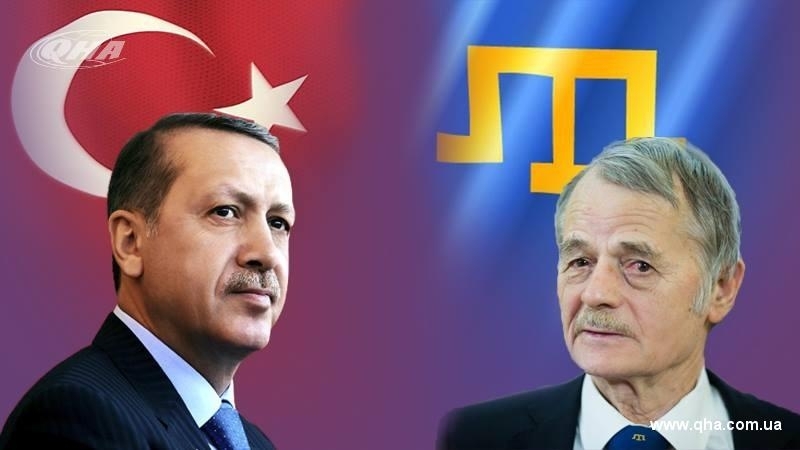 A letter of gratitude from Mustafa Dzhemilev will be handed over personally to the President Erdogan with the assistance of the Turkish Embassy in Ukraine. Emphasizing that Turkey’s support and assistance to the Crimean Tatars always gives strength to the people Mustafa-aga reminded that the repressions of the occupation authorities in the temporarily occupied Crimea continue every day. Earlier, a statement was posted on the official website of the human rights organization Amnesty International saying that Ilmi Umerov and Akhtem Chiygoz should have the right to freely return to the Crimea and not be afraid of persecution. Reference: October 25, the Deputy Chairmen of the Mejlis of the Crimean Tatar people Akhtem Chiygoz and Ilmi Umerov, previously convicted in the occupied Crimea, were extradited to Turkey. The arrival of Chyigoz and Umerov in Kiyiv was planned on October 26, but it was postponed to October 27. On October 27 Umerov and Chiygoz arrived in Ukraine. At the international airport Boryspil they were met by the Head of Mejlis of the Crimean Tatar people Refat Chubarov and the Presidential Commissioner of Ukraine for Crimean Tatar people Affairs Mustafa Dzhemilev. At the airport, Chiygoz and Umerov gave a press conference. Later, the President of Ukraine Petro Poroshenko awarded Umerov and Chiygoz with Orders of Merit.